Although TiVo and ReplayTV were the first DVRs on the market, Microsoft's software actually powered the DISHPlayer Satellite DVR in late 1999. So here we are over 10 years later and while TiVo and Microsoft took different approaches to the same space, of the three original DVR software companies, they're the only two left. Which is the bigger success depends on your perspective, because while TiVo has the mind share (and sold more consumer branded products) Microsoft's technology is present in many other brand DVRs, like Verizon's FiOS DVR, and AT&T's U-Verse (which is built on Microsoft's Mediaroom platform). But our perspective of success is based on the user interface experience, so while we previously reviewed both the TiVo Premiere and Windows 7 Media Center, we wanted to also tackled the task of directly comparing the two. Of course there are some obvious differences that might sway someone in one way or another, like TiVo's simpler out of the box setup or Media Center's 3rd party plug-in architecture, there are many other points of distinction to discover if you click on through and read about the less obvious user interface differences as well as a few other baked-in non-DVR features. As far as we're concerned TiVo invented the list guide, and as a result of being a long time TiVo user, we've learned to love it. And so every time we try out a new guide the first thing we look for is not only an easy way to quickly glance of what's on right now, but also a fast way to see what's on as far in the future as possible. 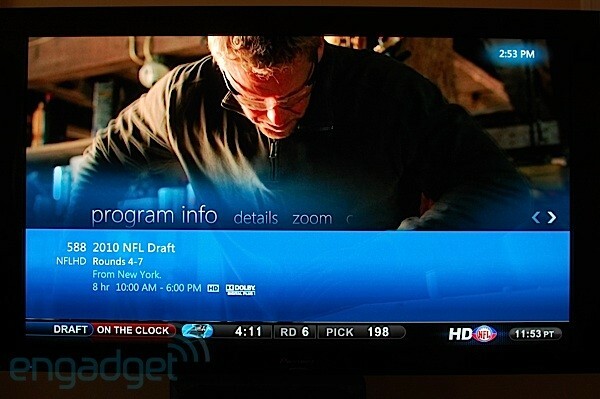 And we have to say the Microsoft took what TiVo was doing well, and did it better. 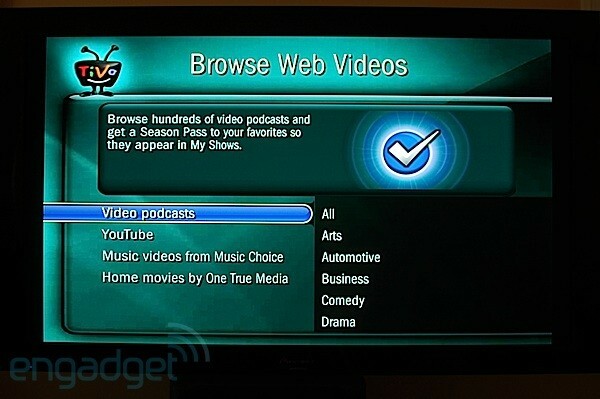 The guide is easily one of the strongest advantages of using Media Center as a DVR -- well that and the fact that the guide data is free on Media Center. Of course this isn't exactly fair as TiVo's guide has remained unchanged for about 10 years, but there are a number of other things we love about Media Center's guide. 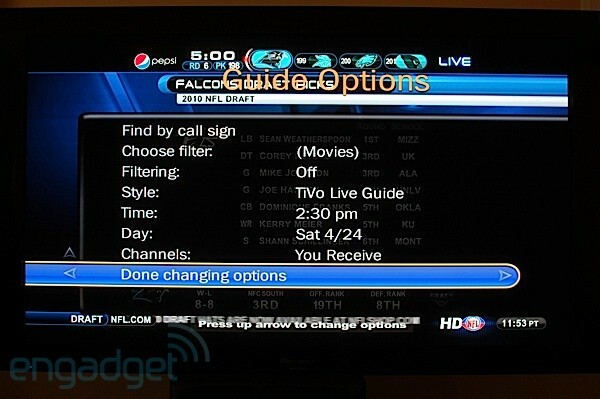 The grid version is big, never big enough, and the filters (built in and custom) are much easier to access than TiVo's. There're lots of short cuts to skip ahead hours at a time and a list of the next three shows is always just under the grid. You can add channel logos with a 3rd party plug-in and there is show artwork in the guide for most shows. You can't double stack filters like you can with TiVo though and you also can't select a specific time in the future to go to. But Media Center does allow you to edit the channel numbers however you like, and this brings us to one of our biggest gripes against TiVo, Media Center's guide shows very plainly what will and won't be recorded by displaying red graphics in the guide. We have our hopes up that TiVo will be revamping the guide in the next released of the TiVo Premiere's software, but until then, the guide in Media Center blows it away hands down -- and we didn't even mention the great mini guide in Media Center. Every DVR has a hard drive in it which limits its reliability and while it's possible to build your own Media Center with a redundant array of discs, most don't. So while we've had problems with both over the years, there is no doubt in our minds that TiVo is far more reliable. Of course this isn't exactly a fair comparison because with flexibility comes responsibility, and honestly we've had a very hard time showing restraint. But we're confident in saying that unless you buy some crazy expensive custom built Media Center PC, you're going to have more maintenance issues and more downtime than if you just bought a TiVo. If nothing else, you're faced with Windows Updates or you might get the itch to install a 3rd party plug-in that sends your system south -- we know we do. On top of all that, we've found TiVo's guide data more reliable and it updates more often, but neither by much. Missed recordings almost never happened in all the years we used a TiVo -- excluding things like power outages of course -- and while we'd call Media Center's guide data awesome, we have missed a show from time to time, but we're only talking a handful in years of usage. Bottom line is that if you have little patience for things that don't always work, or even those that command your attention, TiVo is probably going to be the way to go for you, no matter what other factors are involved. 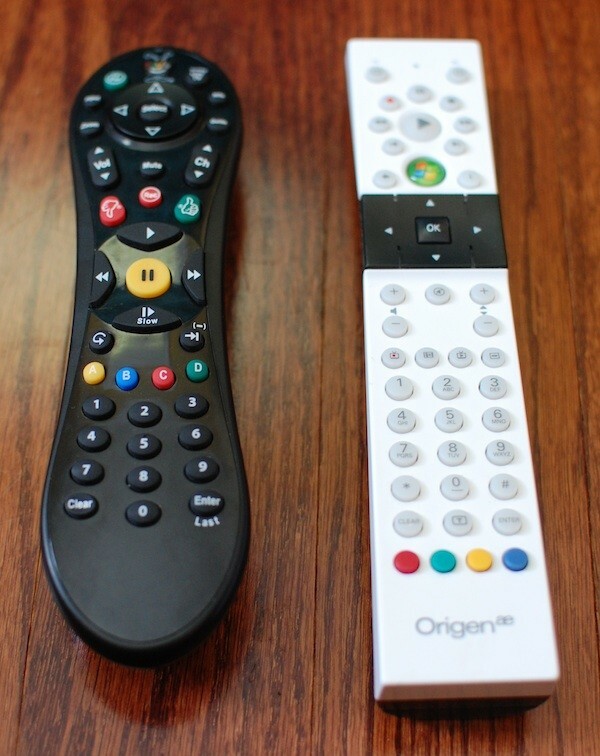 If you don't like TiVo's peanut remote you might be the only one, we love its balance in both weight and layout. Add in the ease of programming thanks to on-screen directions, and you have yourself a best in class remote. Media Center on the other hand has a wide range of remotes with some better than others, but it does have one button that TiVo doesn't that we really, really like: Recorded TV. Why TiVo doesn't give you a single intuitive button to take you to your recorded shows is beyond us, and while TiVo lovers are screaming about the shortcuts for this same functionality, that still isn't as good as a dedicated button. That isn't the only thing about TiVo's remote we don't like though, the thumbs up and down buttons are just a spit in the eye to those who find recommendations useless, and the lack of a Stop button still baffles us to this day. Neither remote has many useless buttons either, which we love; but while both have some programmable abilities, neither are capable of macros, etc. Overall we have to call this one a tie, because we love both equally -- you know, the way your mother loves you and your siblings. If you're like us you watch recordings first, and only watch certain events live. So finding things to record, dealing with conflicts, and finally selecting which recording to watch is arguably the most important functions of a DVR. So the way we like to do it is to give very little thought about whether or not we should hit the record button. We like to just hit it all the time and even though we don't watch half of what we record, it's nice having lots to choose from when we sit down after a busy day of writing to watch HD. And this is one thing that bothers us about most DVRs, recording something is a multi-button press affair. But with Media Center you set your recording defaults (keep until, new only, etc) and then hit the record button once for a single recording, twice for a series. You really can't get any easier than that. Meanwhile TiVo drives you through a number of menus after you hit record and in the case of the TiVo Premiere, the experience is different depending on where you were when you hit the record button (we pray this is changed soon). The options on both are very similar but Media Center lacks the live extension feature of TiVo and you also can't easily extend a single recording in a series. 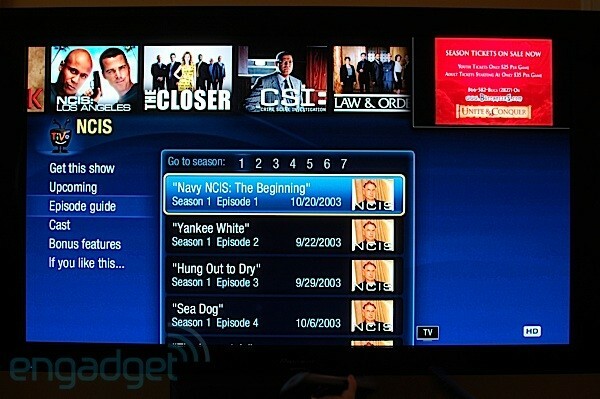 We already mentioned how Media Center shows what is going to record in the guide and in addition TiVo hasn't changed the way it resolves conflicts, changes priority, or lists scheduled recordings, and all of these things need to change, drastically. This is one category you might automatically assume Media Center, with its PC roots, would take but actually we don't think so. While TiVo includes TiVoToGo software with conversion features and archive, Media Center has very little built in and about the same 3rd party options as TiVo. And don't even start about remote scheduling. While neither is fantastic, at least TiVo lets you schedule a show via the web, even if it isn't real time. There are 3rd party plug-ins for Media Center, but nothing that knocks our socks off and so with TiVo's multiple web options, and polished desktop software, this one easily goes to TiVo. 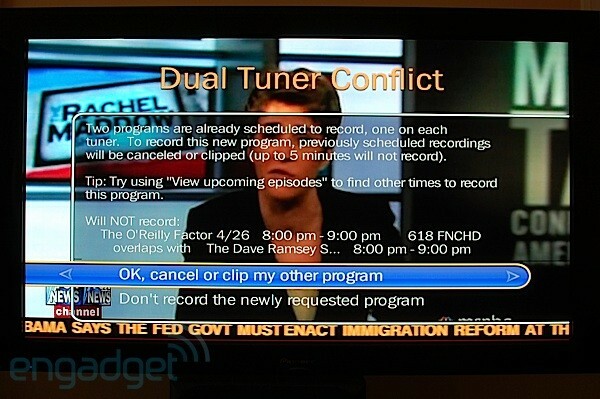 While DVR owners probably don't spend much time watching live TV, it is still an important feature. Surprisingly Media Center changes channels faster than TiVo (2.5 vs 3.1 seconds) and the fact that it has a better guide makes it a great live TV experience. But TiVo has a few tricks too, like the ability to control both tuners and keep two live buffers -- Media Center makes you record both channels to maintain multiple buffers (you can have up to 16 of these if you max out the number of tuners). TiVo also lets you select resolution pass through which usually makes channel changing slower, but is nice if you have a HDTV with a great scaler and prefer the source device to just pass the original resolution through for processing. The custom guide filters that are easy to access on Media Center and come in very handy when watching sports, but with neither having picture in picture, switching between two games has to be done blindly. Another great old school TiVo feature that's great for watching live TV is its ability to record the buffer; on Media Center if you decide to record a show half way through, the recording only includes from that point forward. Speaking of which, the TiVo's buffers are running 24x7 so the odds of turning on the TV and discovering something cool is lost in Media Center. This is a close category but since we usually only watch sports live, Media Center edges ahead with its Sports Lounge. This is a great way to watch sports that lets you see the scores of current games and quickly jump to that game by just clicking on the box score. Now if you aren't a sports fan you might argue that TiVo's dual live buffers gives it the edge in watching live TV, and while we have to say you have a great point, we're going with Media Center on this one. A category that we give TiVo credit for inventing, also easily goes to Media Center. TiVo's older hardware limited its network throughput and in most cases there isn't enough throughput for real time transfers. So the TiVo solution is to copy a show from one DVR to another so you can watch it in another room. The problem is that most cable providers mark their programming as Copy Once which means another copy can't be made for the bedroom. The TiVo Premiere's hardware can easily manage this but its software still only facilitates copying instead of streaming. Meanwhile Media Center offers the same fate, but with one big difference, the Xbox 360 will act as an Extender for Media Center. This means that all the content is streamed from the PC to the 360 and Copy Once DRM doesn't get in the way. Of course even the new 360 isn't exactly the ideal set-top box in a number of ways, and so it isn't a solution for some. Both desperately need the meaning of Copy Once redefined to more closely compare to the way Amazon or iTunes's DRM works, but in the meantime Media Center wins this one because although the 360 isn't the perfect extender, it is better than TiVo's solution, which is nothing. If you make a box for the living room and you don't have Netflix integrated, there's something seriously wrong. For real, Netlifx is everywhere and offers the best glimpse how all non-linear programming will be consumed one day. So while there are lots of add-ins for both TiVo and Media Center, we think Netflix exemplifies the different between how 3rd parties can integrate. Now TiVo has been way ahead in this game and has had official Netflix integration long before just about anyone else, other than the Xbox 360 and the Roku. It was also the second to get HD streaming while Media literally just got it. All that being said, the TiVo Netflix interface is down right pitiful compared to most, and at the other end of the spectrum is Media Center's. 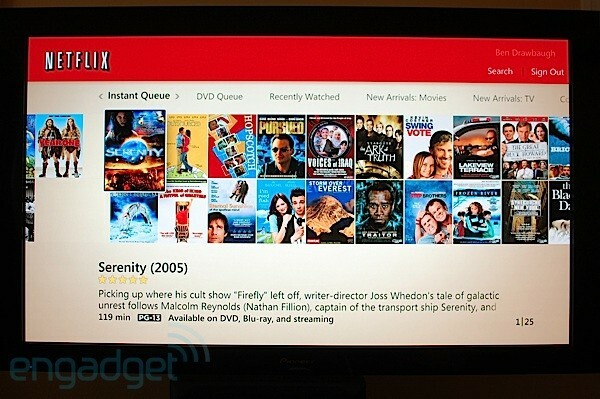 The Media Center Netflix interface integrates well with the rest of Media Center, offers lots of extras, and looks fantastic. It really is a great example of what is possible in Media Center when effort is applied. But that brings up the question of where is the effort? TiVo has way more official partners, and other than Netflix, Media Center doesn't really have any worth mentioning. So while Media Center takes this one in quality, it loses in quantity. But of course there are plenty of other unofficial add-ins for Media Center too. Resolution passthrough so you can leave the scaling to the TV, but it does take longer for the TV to resync. Skipping to a specific spot is easy on both, but TiVo's skip to tick is more intuitive than MC's number+skip. Official Amazon app, on Media Center you have to download via 2-foot Amazon app and play from a watched folder -- not exactly elegant. Web guide -- sadly it isn't live and limits what you can do. More way to view My Shows, like the ability to list by date or name and put into groups. You can quickly jump to a certain date and time in the guide, Media Center only has shortcut keys like skip and fwd, which also work on TiVo. 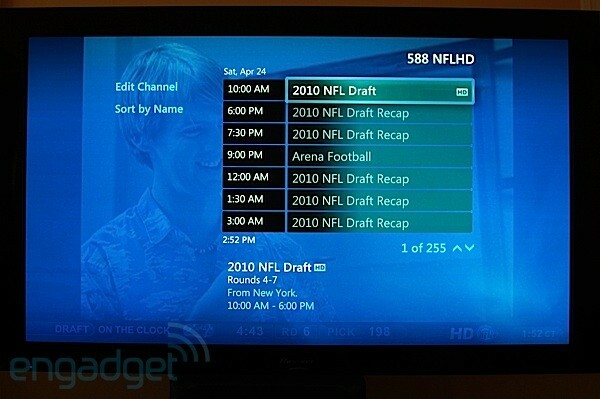 Both show the next 7 programs in list view, but TiVo's lists are easier to look at multiple channels, while media Center allows you to sort the lists by show name too. Dual two live buffers makes it easy to follow two shows, Media Center requires you to record both programs or use a single buffer. The ability to record the buffer If you decide to record a show half way though, Media Center throws the buffer away. Buffers run 24x7 so if you turn on your TV to discover a show you like, you can rewind to see it. This also makes it respond to the Live TV button quicker than Media Center. You can copy just the unwatched part of a show to another TiVo. TiVo rewinds a bit after you fast forward to compensate for your reaction time. Both analog and digital outputs work simultaneously. Suggestions, which aren't really useful anymore since there is a free space indicator in TiVo Premiere. Free space indicator can be displayed on the My Shows list, Media Center makes you dig in the settings to find it. Ability to apply multiple filters to the guide. It is much easier to change series priorities on the TiVo, but it does take way longer to commit. Software updates come more often, but not by much. 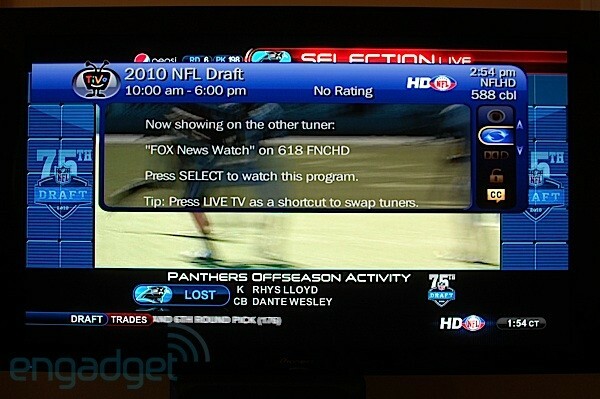 TiVo won't let you look at the guide without watching something. You can edit channel numbers -- so channel 8 HD isn't 508. You mix and match tuners and set tuner priority -- TiVo makes its 4 tuners work as 2 instead. Channel changes are faster on Media Center but both are very close 2.5 vs 3.1 seconds. 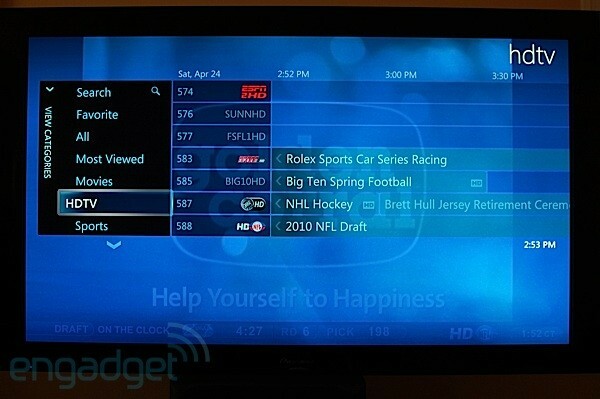 3rd party interfaces are much richer, like Netflix and Internet TV. Automatic commercial skip add-in available, vs just a 30 second skip. There's no stop button on the TiVo remote, so to get the preview window to stop you have to hit slow. Or to get live TV or a recording to stop you have to go to a menu -- not exactly intuitive. The entire interface is in HD, no old mixed in with new. The interface is much faster. 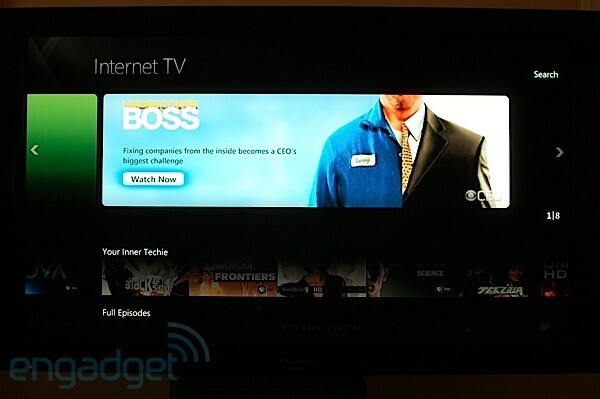 Recorded TV view is much richer with thumb nails of videos and show art on the info page. You can even sort by original broadcast date. Recorded TV lets you use the number keys to quickly find shows, so you can hit 6 twice to find shows that start with the letter N -- not intuitive, but it is handy. 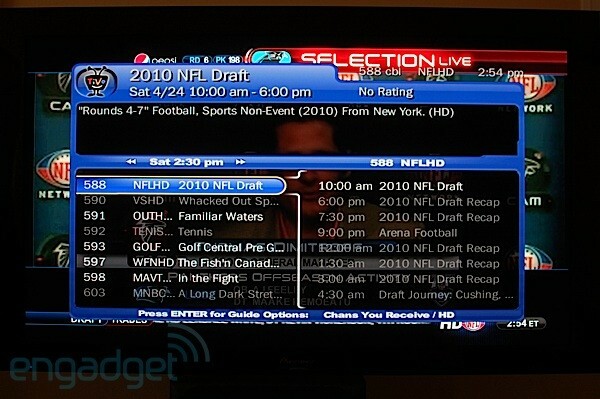 Grid guide displays 7 channels and 2 hours (as well as what will record) TiVo's displays 8 channels and 1.5 hours. 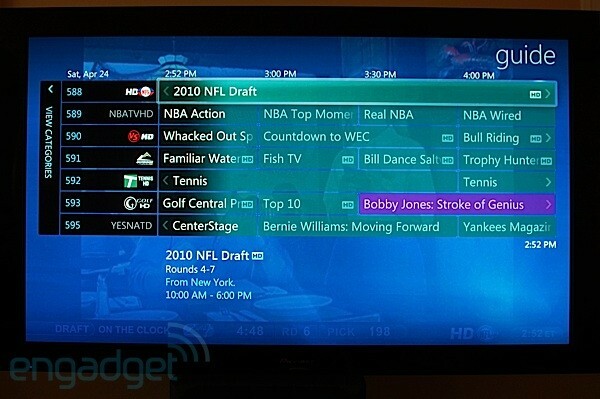 Both guides show HD logos, but Media Center's can be color coded, offers optional channel logos and more than one custom filter. Support for up to 16 tuners, vs TiVo's 2 (even more for high end custom PCs). Can manually map Clear QAM channels in Media Center -- they show up in TiVo, but there's no guide data. Supports streaming shows between PCs instead of just copying (not Copy Once shows). Recording defaults which makes one button recording possible -- TiVo is at least two button presses and much more if you want to keep as many as possible and only want new episodes in the series, for example. 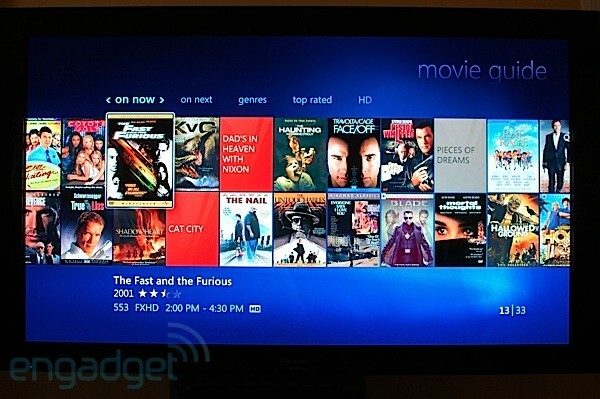 Movie Guide gives you a quick and easy way to see what movies are on TV by browsing cover art. Automatically turns on closed captioning when muted. TiVo's "won't record" are in History, not "To Do" like Media Center. 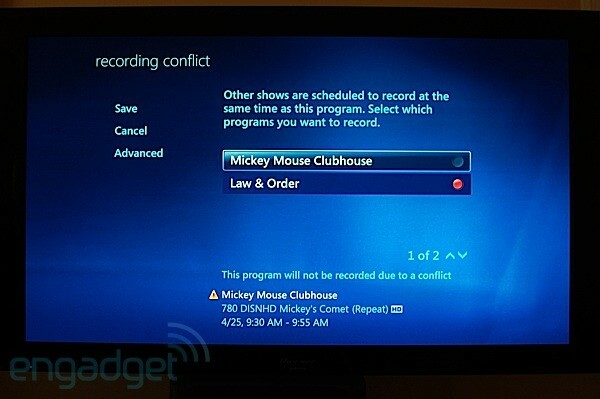 TiVo conflict resolution doesn't offer all the shows at once and doesn't let you select which you want to record, instead you have to go to each one and choose it instead, in the History view. 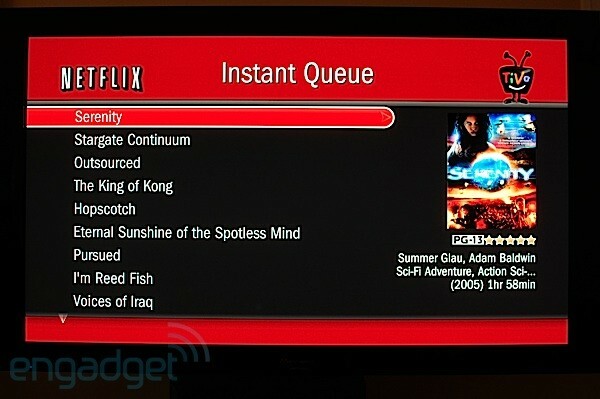 Netflix user interface looks much better and allows queue management (both streaming and disc). Hitting play while watching TV (recorded or live) shows the time and where you are, on TiVo you have to hit play to see the current time of the show and info to see the time. Both can be upgraded to as much storage as you want. 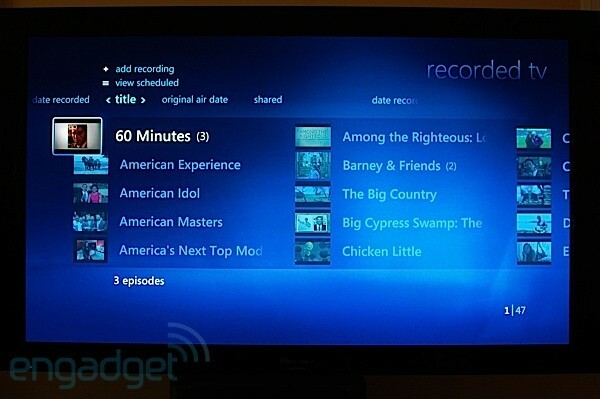 These are the best DVR options out there for a reason and both are very compelling. 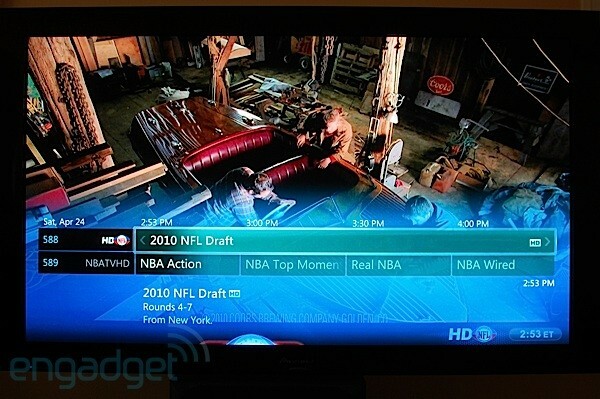 While Media Center excels in most areas that count, it is also the hardest to setup and support which means it isn't an option for the mainstream DVR user. Both are also not cheap, a TiVo Premiere will run you $700 with lifetime service and you'd have an even harder time getting a Windows 7 Media Center with CableCARD tuners for that price -- it is possible though. So there's no clear winner for everyone here, both are moving forward. TiVo has promised many updates for its Premiere and Microsoft just announced an embedded version of Media Center which might enable a hardware company to compete head to head with TiVo's set-top box model. Ultimately the DVR is a stop-gap technology until we reach a day when we can watch anything, anywhere, anytime we want, but until then we'll be using a Windows 7 Media Center PC and 360 as an Extender -- for now anyways. Editor's note. This review and videos are based on of the 14.4 version of the TiVo Premiere and while 14.5 does offer some "stability and performance" improvements, it does not change this comparison. And although it does improve the TiVo experience, it does not change the authors opinion that Media Center is faster and looks better than the TiVo Premiere.